Slang, consists of a lexicon of non-standard words and phrases in a given language. Use of these words and phrases is typically associated with the subversion of a standard variety (such as Standard English) and is likely to be interpreted by listeners as implying particular attitudes on the part of the speaker. In some contexts a speaker’s selection of slang words or phrases may convey prestige, indicating group membership or distinguishing group members from those who are not a part of the group. Winston Churchill, Prime Minister of Great Britain, coined this phrase following WWII. On 5 March 1946, he expressed his misgivings regarding European politics at Fulton, Missouri, where he was receiving an honorary degree from Westminster College. He said, “From Stettin in the Baltic to Trieste in the Adriatic, an iron curtain has descended across the continent.” The Iron Curtain symbolizes the ideological conflict and physical boundary diving Europe into two separate areas from the end of World War II in 1945 until the end of the Cold War in 1991. Etymology: Possibly a corruption of cage, from Old French; as a noun cadge it finds meaning in falconry to refer to a circular frame on which cadgers carry hawks for sale. 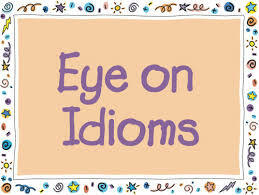 As a verb, it can be used (US, UK, slang) to mean to obtain something by wit or guile; to convince someone to do something they might not normally do or in (UK, Scotland, dialect) meaning too carry, as a burden; To hawk or peddle, as fish, poultry, etc., or To intrude or live on another meanly; to beg. This phrase means to be in a state of anxious suspense. A “tenter” is a frame or endless track with hooks or clips along two sides that is used for drying and stretching cloth. It comes to us from Middle English teyntur, probably from Medieval Latin tentura, from tenta tent frame or tent. Its first known use was in the 14th century. Because of the tenter’s similarity to the rack in its construction, the term “tenterhooks” became to be known for its suspended tension. This phrase means something of no cohesion or stability: a feeble union or tie. It is used ironically to describe a treaty or a contract, meaning a paper with no binding power over the two parties involved. Sir Francis Bacon used the phrase as such, “to knit a rope of sand.” Samuel Butler (in 1712) wrote “I leave to my said children a great chest full of broken promises and cracked oaths; likewise a vast cargo of ropes made of sand.” The Urban Dictionary calls it a running joke used in academic writing. The phrase, purposefully meaningless and ambivalent, is used after a colon to “spice up” a title. This phrase means to behave in a frenzied and violent manner. This term has something in common with ‘run amok’. The two phrases, as well as sounding rather similar, mean virtually the same thing. Their sources though could hardly be further apart. ‘Run amok’ derives from the Far East, whereas ‘go berserk’ is of Viking (Norse) origin. In that tradition a ‘Berserker’ was a warrior of great strength and courage, who fought with wild ferocity. The word is believed to be derived from ‘bear sark’, that is, bear coat. That berserker fighting tradition, in which the warriors took on the spirit (or even in their belief, the shape) of bears whilst foaming at the mouth and gnawing the edges of their shields, is the source of the Vikings’ fierce reputation. It dates back to the first millennium but had died out by the 1100s and thereafter the word berserker didn’t feature widely in the English language until the 19th century. There is a rival, but less widely accepted, version of the derivation. In this the Vikings were supposed to show their bravery by going into battle with their sark jackets open, that is, ‘bare-sark’. This entry was posted in language choices, Pop Culture, word play, writing and tagged idioms, language choices, slang, word play. Bookmark the permalink. I hadn’t heard the phrase Rope of Sand before. I first came across it, Carol, while working on my advanced degree.